For the policy team, the last few weeks of summer marks the beginning of our 7-week long Worcester Polytechnic Institute program. As a long-time host, each year we look forward to fresh new faces joining our small team. This year is no different! 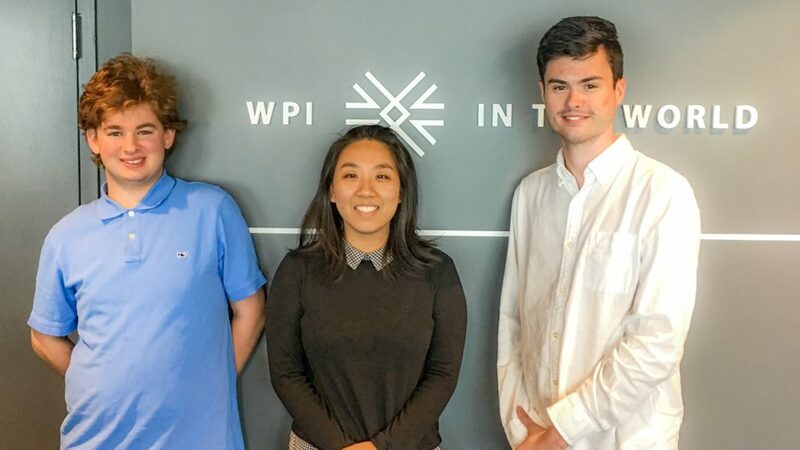 Hailing from the Computer Science and Engineering programs at WPI, Tyler, Winny, and Tom will focus on advancing Boston Harbor Now’s working waterfront initiative. Building on the January symposium and white paper, the team will explore, analyze, and define national and international innovative working waterfront uses to facilitate the creation of a 21st-century harbor. Through conversations with local stakeholders, including community groups, nonprofits, city and state agencies, and local leaders, the group will put together a turnkey guide and recommendations to help build and improve Boston’s Inner Harbor designated port areas. The student’s work will ensure that Boston’s working waterfront continues to be an economic driver for our city and region as well as an important source of blue collar jobs. We invite you to explore and learn from their research as we proudly share the ready-to-implement recommendations at the culmination of the quarter.